One day me and my brother and the rest of our soccer team and coaches went to play Space Lions. When we got to their pitch we got out of the cars and vans and we went to the dressing room and got dressed. Me and my brother are goalkeepers so we got dressed and our coaches made teams and then my brother got a better team than me. And I thought “well what a start”. So after we all walked out then to our side of the pitch and shook hands with the other players and started. 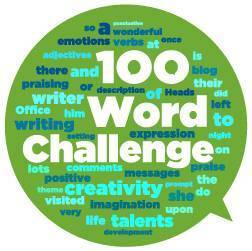 Well done on completing your first 100 Word Challenge story Abraham! There are a lot of football stories around this week, for some reason. Even I am thinking “Well what a start”!!!!! I hope that both your team and your brother’s team did well in their matches. Good work, well done! Hi Abraham, Mr. Russell has taken the words right out of my mouth. I was just thinking the very same thing – Lots of football stories from your class this week. Unfortunately I don’t know much about this sport, but I’m after learning a lot after reading all these great stories. I’m practically dizzy from my virtual trip to all these matches. Well done.